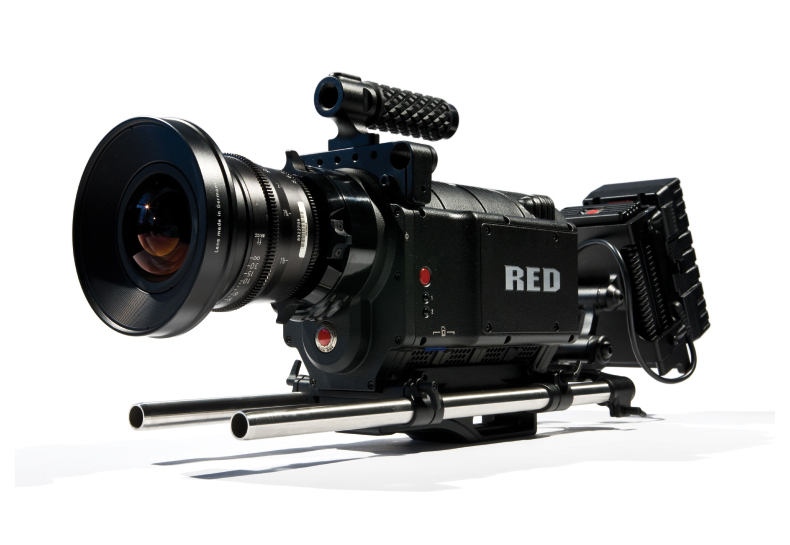 Today, HD cameras come in all shapes and sizes, from $150 HD cameras at Best Buy, to Red and Arri cameras. While factors like lenses, sensor size, and frame size are extremely important in determining the camera for you, looking at the formats they are encoded in is important for post production, and should be an important factor in your purchasing decision. Now, let’s take a look at some of the most common formats, and see what they’re all about. In terms of quality, RAW is your best option. Raw means that it’s the raw data from the camera, bit for bit. Some cameras will apply a lossless data compression to save space, but no quality is lost. The big advantage of shooting RAW comes when color correcting. With Raw video, it’s much easier to change the white balance, bring out the shadows and tone down the highlights, simply because there’s more color information. The disadvantages to raw is the larger file size, it is going to take up the most information both on your camera and on your computer. For example, 12 bit Red Raw takes up almost 2GB/min. So, should I use Raw? If you have a capable computer, enough room on the camera, and especially on your computer, then go for it. While it certainly takes up more information, you are getting more data out of Raw then any other format mentioned, which will give you more flexibility in the post-production process. HDV is the format for recording HD on DV cassette tapes, such as Mini DV. It comes in two main formats: HDV 720p and HDV 1080i, however can be shot with a variety of frame rates. HDV has a maximum data rate of 25 mbit/second, so compression is needed to fit an HD frame at such a low data rate. It uses MPEG-2 compression, which removes redundant information in and between multiple frames. HDV is popular because it is affordable, easily portable and its quality is considered acceptable for HD productions, however not optimal because of the large amount of compression. AVCHD, developed jointly by Sony and Panasonic, is common in pro-sumer cameras. It uses AVC, or H.264 encoding to reduce the file size, which gives video a bitrate ranging from 6 mbit/sec to 24 mbit/sec. Since many AVCHD cameras use variable bit rates and different quality settings, it’s difficult to find an average size per minute of video. Compared to HDV, AVCHD uses 1920 x 1080, vs 1440 x 1080 for HDV. HDV has a higher data rate, but uses MPEG-2, which doesn’t do as good a job as the H.264 in AVCHD. As you can see in the table above, they all use a variation of the MPEG-2 standard for encoding. CBR means a constant bit rate, so throughout a whole minute of the video the bit rate would always be the same. Variable bit rate means that the bit rate changes depending on what your filming, so during one minute of video, it could go from 25Mbps all the way to 35 Mbps. HD422 is by far the highest quality of the above formats; it has the highest bitrate, the largest frame size (1920 x 1080 vs 1440 x 1080) and it has the highest quality color sample rate. The (HDV) in the SP format means that is compatible with HDV 1080i. Just like XDCAM HD, MPEG-2 compression is used. Sony later released SxS-1 cards, which are more affordable. SxS cards commonly come in 16gb, 32 gb and 64 gb, ranging from about $100 to $1500. The XDCAM format is very popular with Sony cameras and has great compatibility with many NLE’s. We recommend XDCAM HD4:2:2 because of it’s high quality while still relatively low data rate. DVCPro HD was developed by Panasonic in 2000. It is almost always only used by professionals, and is actually still a DV format, because it is an extension of earlier DVCPro formats (Four parallel codecs are actually used). It supports frame dimensions of 1280 x 1080, 1440 x 1080 and 960 x 720. At 1080, it supports frame rates up to 30, while at 720 it can go up to 60 frames per second. It supports a bit rate of 100 mbits/sec. DVCPro HD also down-samples from the native resolution, making it not our first choice. HDCAM SR was developed by Sony in 2003; the SR stands for Superior Resolution. It can record in 10-bit 4:2:2 or 4:4:4 RGB. Incredibly, it can capture data rates of 440 Mbps in SQ mode and 880 Mbps in HQ mode. The MPEG-4 Studio Profile is used for mild compression. HDCam SR is a format commonly used in cinema cameras, delivering extremely natural looking video, with the option of no color subsampling (4:4:4 means no color subsampling) and is often used for commercials. Do what works best for you. If you just want to make a short video where quality doesn’t matter, it makes no sense to purchase a RED EPIC and shoot on raw. It all boils down to how you want your videos to look, how much work you’re willing to put in and how big of a budget you have. Win A Free GoPro Hero 3 Black Edition!